Add Melted, cooled butter, sour cream, corn and Betty Crocker™ corn muffin mix. Put all into 2 1/2 quart casserole. Bake 1 hour at 350° F.
There’s sweet corn, there’s corn pudding casserole and then there’s bread pudding. 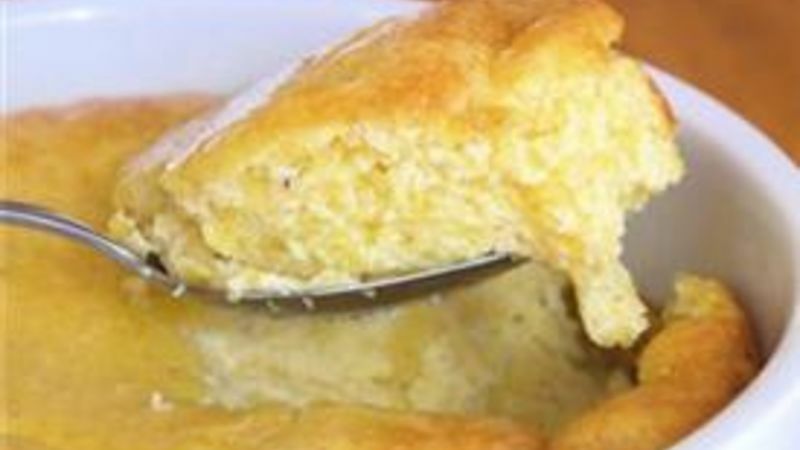 And then there is sweet cornbread pudding where all of those good things come together. It’s the comfort food that your holidays cannot do without, especially when it comes to Thanksgiving and Christmas. To make a double batch or a crowd-sized version, simply double the ingredients and bake this in a 13x9 casserole dish. To store leftovers, put it in an airtight container in the refrigerator for three to four days. A pro tip: you must use cream-style corn in this recipe. It makes the casserole have a creamy consistency because creamed corn has a milkiness to it that other cans of corn won’t. If you’re after a simple cornbread recipe, head on over to our collection of bread recipes.